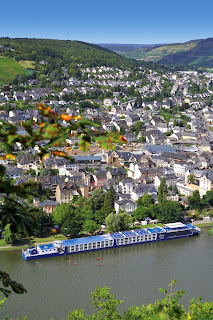 River Cruise Insight: Why Go River Cruising? Rivers have always fascinated travellers. They beckon traders with promises of distant commerce, lure wide-eyed adventurers to explore the far-off interior of continents, and tantalise us with the distant lands that lie along their banks. Travellers have used rivers for centuries as highways to other places: the only wonder is that it took so long for river cruising to emerge as a no-hassle way to holiday. It should be no surprise that river-cruising is now one of the fastest-growing areas of tourism, offering us an ever-increasing choice of novel experiences across the far reaches of the globe. After all, what easier way to travel through the Ukraine, watching the golden domes of monasteries pass by as you tuck into blueberry pancakes? Perhaps you fancy exploring 5,000 years of history along the banks of the Yangtze River, whose misty mountains and deep gorges are renowned in Chinese poetry and painting. Or maybe you see yourself cruising down the Rhône, visiting lavender-scented monasteries and Michelin-starred restaurants as you go. On a river cruise, you can, with ease. This is why Captain Rivers enjoys river cruising so much. 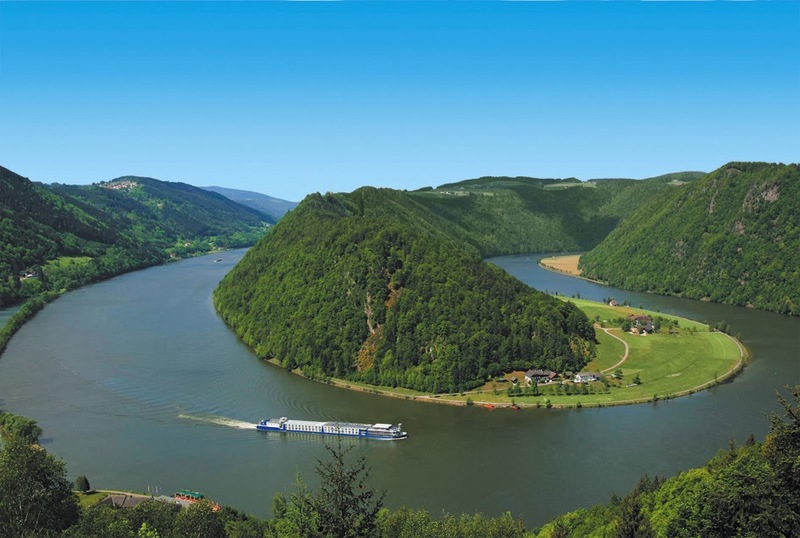 Here are some more very good reasons why you might want to consider a river cruise. BETTER EXPERIENCE River cruises take you to places inaccessible to ocean-going cruise ships – not only the interior of continents, but small villages and towns that can only ever be served by small vessels. As a bonus, you can admire beautiful countryside, rather than just open ocean, as you drift from destination to destination. Keep your camera at the ready, as there’s scarcely a moment without something of interest gliding past your cabin window: water buffalo working rice paddies, workers harvesting grapes in autumn-dappled vineyards, the pastel-blue towers of a baroque church. What’s more, if you spend time on the rooftop sun deck that's a feature of most river-cruise ships, you get a 360° view of the passing landscapes. MORE TIME Frankly, one of the pleasures of river cruising is that you can escape your ship so frequently. Ocean-going days at sea have no equivalent on river cruises: Captain Rivers can't think of any river cruise in which you don’t disembark every single day, often for long periods. You spend less time getting to places, more time just being there. That's because cities along rivers tend to be closer together than they are on coastlines. Ships usually tie up right in town centres and stay longer than ocean liners – often overnight. With more time in dock, you can both join your guided tours and have time to explore yourself, dawdle the promenades, sit in cafés or head out in the evenings. 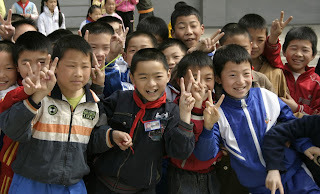 Visting a local school on the Yangtze River in China. MORE VARIETY You’ll end up seeing more places on a river cruise than a comparable ocean cruise, as there are so many more opportunities to go ashore. On a river cruise, it’s the destinations and not the ship that absolutely take centre stage. You’ll see the smallest of villages as well as large cities, and enjoy everything from museums and palaces to artisans’ workshops, cellar doors and even local schools. MORE INTIMACY River cruising is a more intimate experience than ocean cruising. River-cruise ships commonly carry 150-300 passengers, compared to over 3,000 passengers on some of the larger ocean liners. The downside (if you like that kind of thing) is that on-board amenities and entertainment are limited. 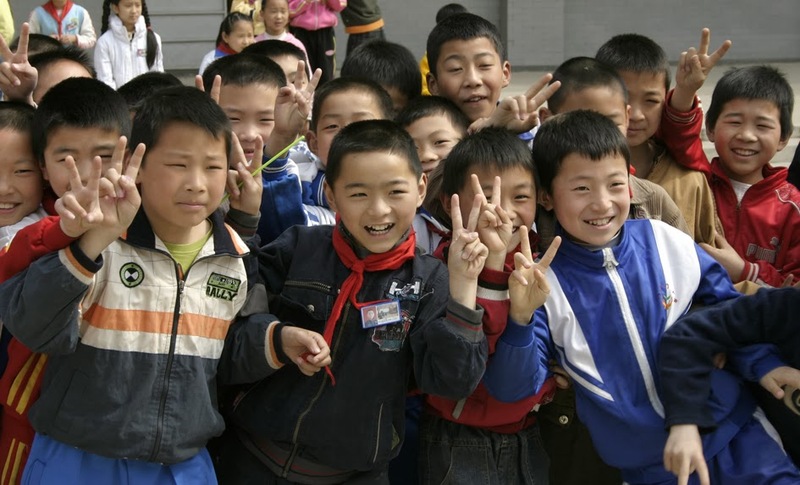 However, you’ll get to know fellow passengers and staff alike. Embarkation and disembarkation queues are non-existent. Crowds don’t invade ports of call in overwhelming numbers. The pace is slower, less frantic, more relaxed. A deluxe cabin on Viking Surkov in Russia. 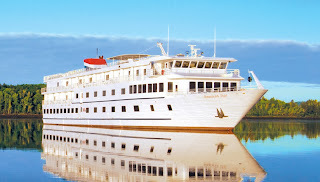 HOTELS AFLOAT River cruising provides the pleasure of staying in a comfortable floating hotel that also has a conveniently attached restaurant, and which will take you from one port to another without having to resort to public transport or unfamiliar roads. Your destinations simply turn up outside your cabin window. There’s also no endless packing and unpacking. And, unlike a coach tour, time spent travelling is part of the experience: you can relax, dine, read, listen to lectures or just admire the passing scenery with a drink in hand, something Captain Rivers is quick to do at every opportunity. 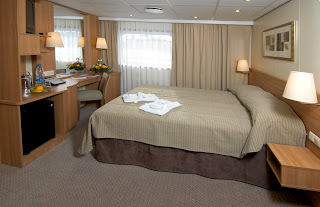 VALUE FOR MONEY River cruising might appear pricey until you tot up just what it covers. Most companies now offer all-inclusive packages that include not just your accommodation, food and meal-time beverages but (unlike ocean cruises) shore excursions as well. It’s the perfect way to budget in advance and know how much your holiday is going to cost. Providing you stay out of the shops while on shore excursions, of course. The American Star on the Hudson River in the USA. BETTER THAN EVER In the last few years, new cruise ships and an extraordinary range of new itineraries have emerged to cater for the surge in passenger numbers. River-cruise companies are also trying to attract a younger crowd by offering more interesting and flexible shore excursions in which river passengers can go ashore individually, rather than with escorts. Luxury is another big trend, with some ships offering the five-star amenities expected in a hotel on dry land, including beauty salons, hot tubs, internet access and flat-screen televisions. Cabins are larger and better, often rivalling guestrooms in four- and five-star hotels. 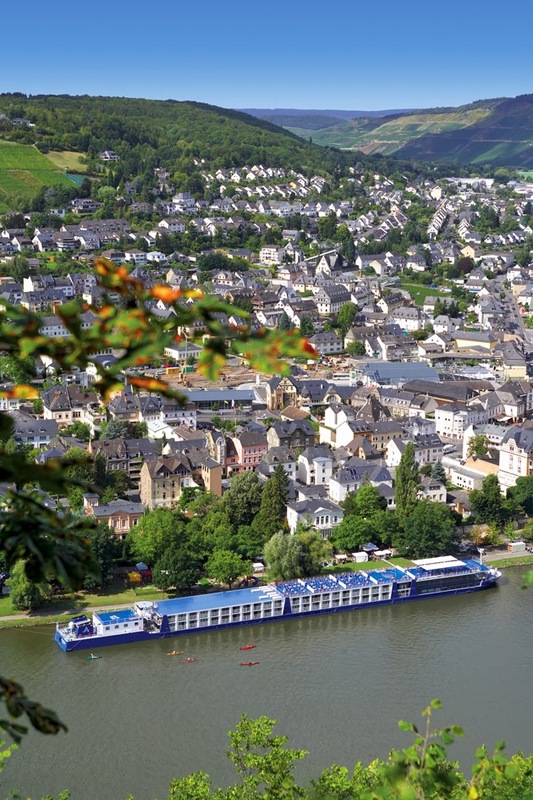 In short, river cruising is more comfortable and varied than ever before, so why not give it a go? Captain Rivers and his merry crew reckon there’s never been a better time to float your boat.